On March 24th, after two weeks of programming on poverty, nutrition and organizing, we took our prophets out to the White Center Food Bank. 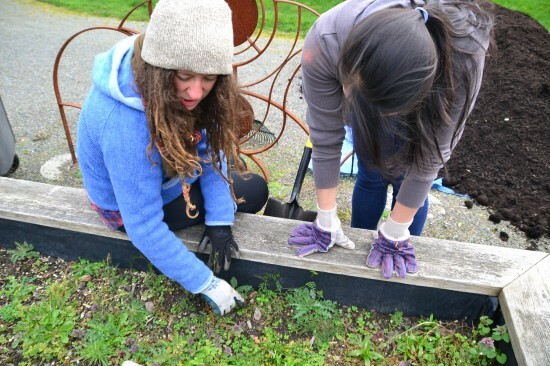 Not only did we help organize and clean the food bank, but we also noticed that they needed help with thing like weeding and and fertilizing the beds at the local community garden, so we jumped right in. We had just talked a lot about Grocery Deserts and how often times working-class communities don’t have access to healthy and fresh produce, so we were excited to help with this project.